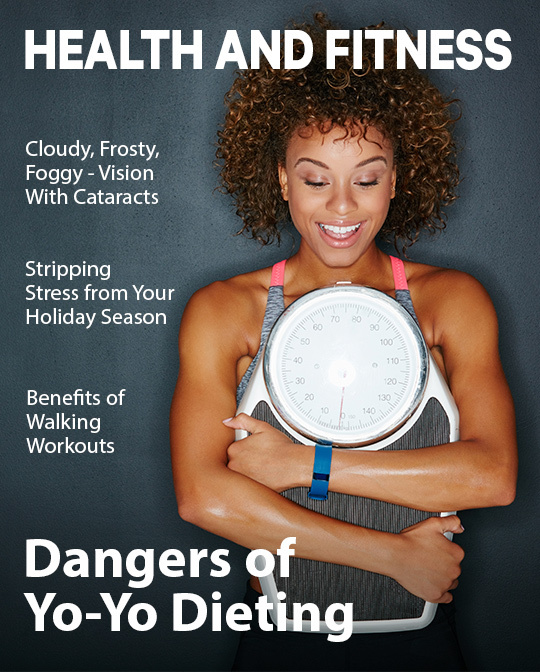 Insight into the negative health effects of yo-yo dieting. You’ve been there or maybe you’re there right now: you let yourself go and the weight piled on until you decided it was time to lose. A friend had success with a new fad diet and you decided to give it a try. A few weeks of sticking to the diet helped you shed a few pounds. You get excited and then go back to normal life. Unfortunately, once you reached your goal or quit the diet you went back to your normal eating habits and the weight slowly returned. This cycle, known as yo-yo dieting, is all too common. You diet and lose weight, quit the diet and regain the weight, diet and lose, and quit and gain over and over. Also called weight cycling, yo-yo dieting isn’t just exhausting and discouraging, but it can also be harmful to your health. Here are a few ways going through the ups and downs of yo-yo dieting can put your health at risk. Weight fluctuations of more than a few pounds are dangerous for people with heart problems. Studies show weight cycling doubles the risk of suffering a heart attack, stroke, or death if you already have heart disease. Strangely, the risk seems to be greater for normal-weight people who yo-yo diet, than for obese people who yo-yo diet. And your risk also grows the more times you weight cycle and the more weight that’s been lost and regained each time. This doesn’t mean people with heart disease shouldn’t try to lose weight. It means they should work hard to lose weight and then continue working hard to keep the weight off. Why would weight cycling increase your risk for heart attack or stroke? Increased amounts of the stress hormone cortisol harm the heart. Also, the effects of weight gain (higher blood pressure, higher cholesterol, and more body fat) are difficult to reverse even when weight is lost. Yo-yo dieting, especially with diets that drastically reduce calories, affects your electrolyte balance that helps regulate the function of your heart. Wonder why you always feel hungry? It may be the result of yo-yo dieting. Fat cells produce a hormone called leptin that signals when you’re full. As you lose weight, your body produces less leptin, so you feel hungrier than usual. Losing weight can also slow your metabolism. The result is that you gain weight easier. More than half of those who weight cycle have a greater percentage of body fat. Similar to kidney stones, your gallbladder can also develop stones. Being obese increases your risk of gallstones, but so does losing weight quickly. The more times you weight cycle, the more opportunities you give your body to develop gallstones. Symptoms of gallstones include nausea, vomiting, pain in your belly and back, bloating, and heartburn. Treatment often requires surgery to remove the gallbladder. When you lose weight, you shed both muscle and fat, but when you regain weight, the new pounds you put on are primarily fat. As your muscle rebuilds, your appetite becomes greater. This means you continue adding fat while building muscle. Repeating this process only increases your fat and reduces your muscle. Less muscle equals slower weight loss in the future. The millions of beneficial bacteria in your gut are affected by yo-yo dieting. Research has found that gut bacteria play an important role in your mood, digestion, immune system, heart health, weight regulation, and metabolism. Throwing off this delicate balance can affect your overall health and well-being. 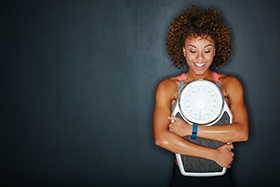 Compared to men, women are more likely to frequently change their weight. An estimated 50 percent of women and 20 percent of men have weight cycled.